The Legacy TS750 Intermediate Tenor Saxophone blows away any other saxophone in this price range. The quality is outstanding and the tone and intonation are superior. 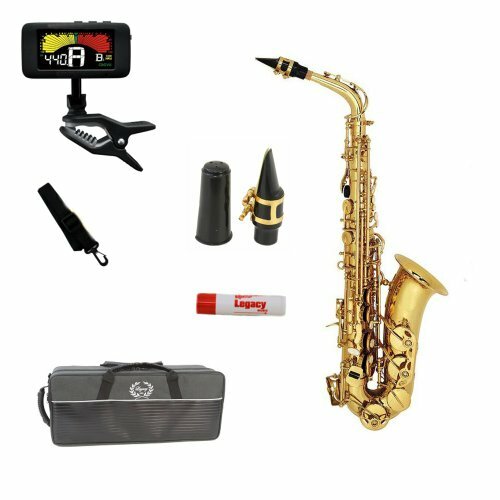 This is an excellent choice for aspiring students and even professionals that want a reasonably priced horn. 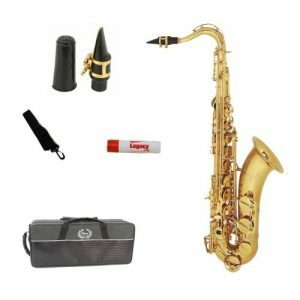 It has all of the features you would expect in a top instrument , Pro pads, High F# Key, Front F, Leather style wood case, Blue steel springs, super action, you name it, the Legacy TS750 Tenor Saxophone has it. Legacy saxophones are made in one of the world’s most renowned factories with more than 30 years of saxophone design and production. Legacy saxes are crafted to the most exacting specifications, with every part of the instrument being checked to assure that the sound and intonation will meet the demands of an intermediate or advanced player. The Legacy TS750 saxophone comes with an unconditional money-back guarantee and a comprehensive warranty too.